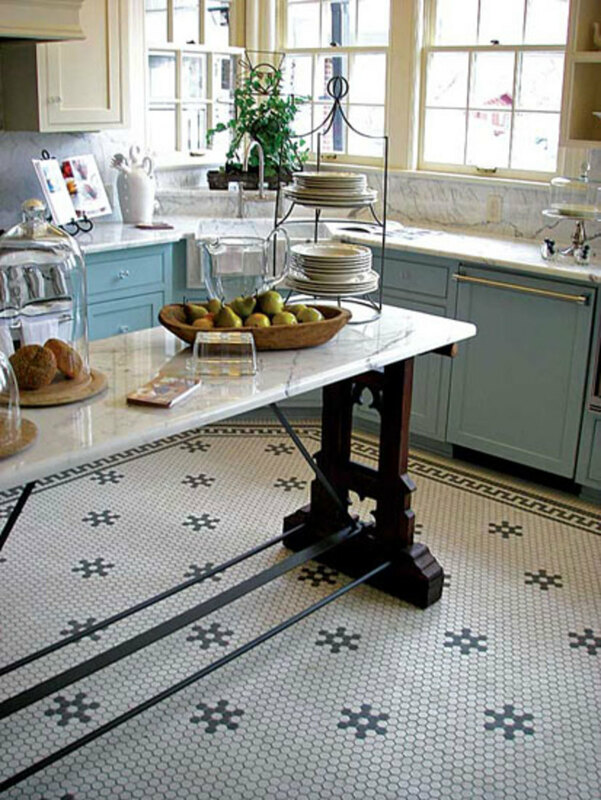 Check out this list of contemporary art-tile manufacturers. 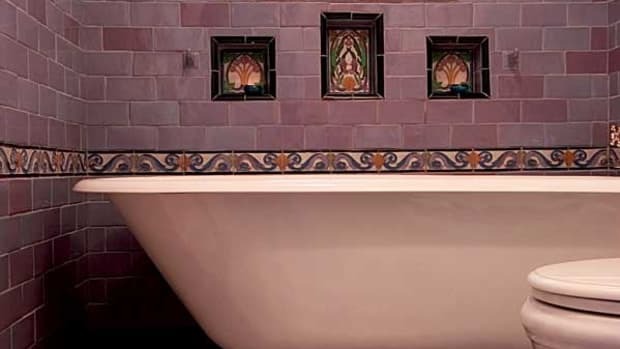 Their beautiful tiles are suitable for Bungalows and Craftsman houses, for Tudors, Spanish Revival and California homes, and for new buildings of the Arts & Crafts Revival. They will match existing old tiles, and produce custom tiles in old designs and sizes. Glazed and unglazed tiles; porcelain, semi-vitreous, stoneware, and terra cotta. 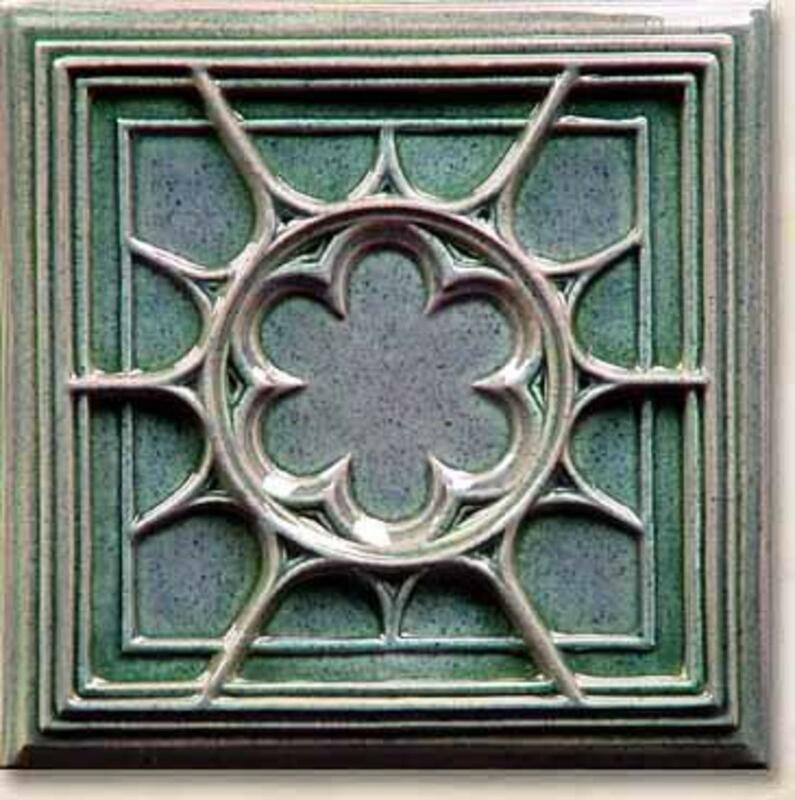 Handmade art tiles in historic and original Arts & Crafts motifs for architectural and decorative use. 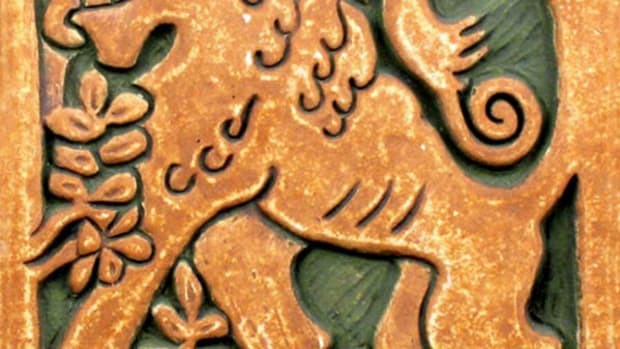 Hand-pressed and reproduction tile for fireplaces, backsplashes, tubs, and shower surrounds. Their line recaptures the lost art of patterned relief tile enhanced by a colored transparent glaze. Dedicated to preserving our uniquely American tile heritage with their collection of historically authentic subway tile and made-to-order mosaics. 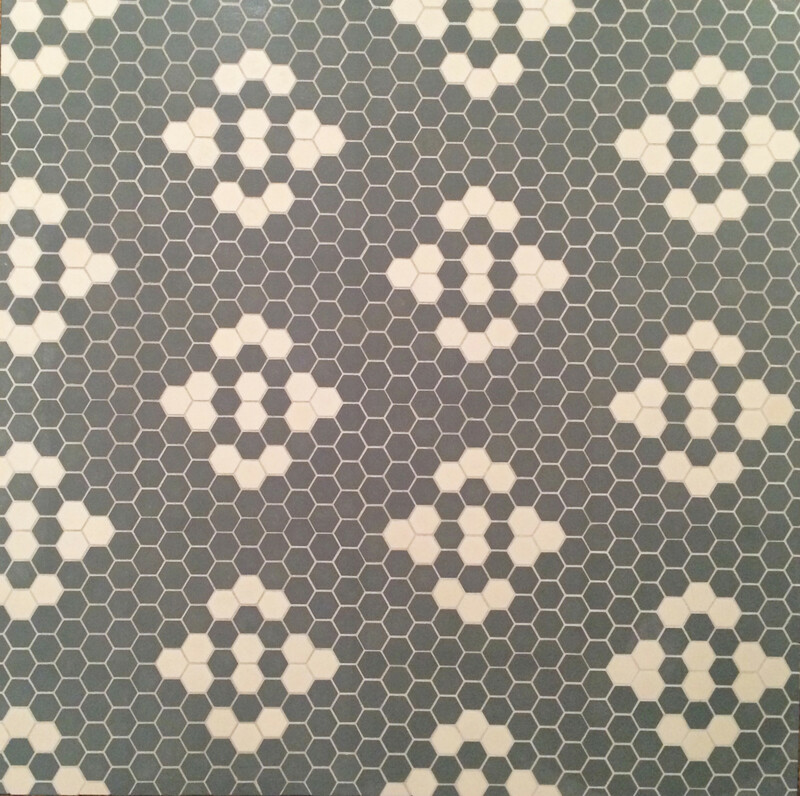 Hand-pressed porcelain tiles for bathrooms, fireplaces, kitchens, and vestibules. Expert in Arts & Crafts and other historic design styles. High-relief glazed ceramic tiles with a unique beveled edge. Historical and decorative tile inspired by the California architecture of the ’20s and ’30s, for walls, fireplaces, and fountains. A small ceramic art tile studio with collections inspired by unique nature, sea culture, and western designs. 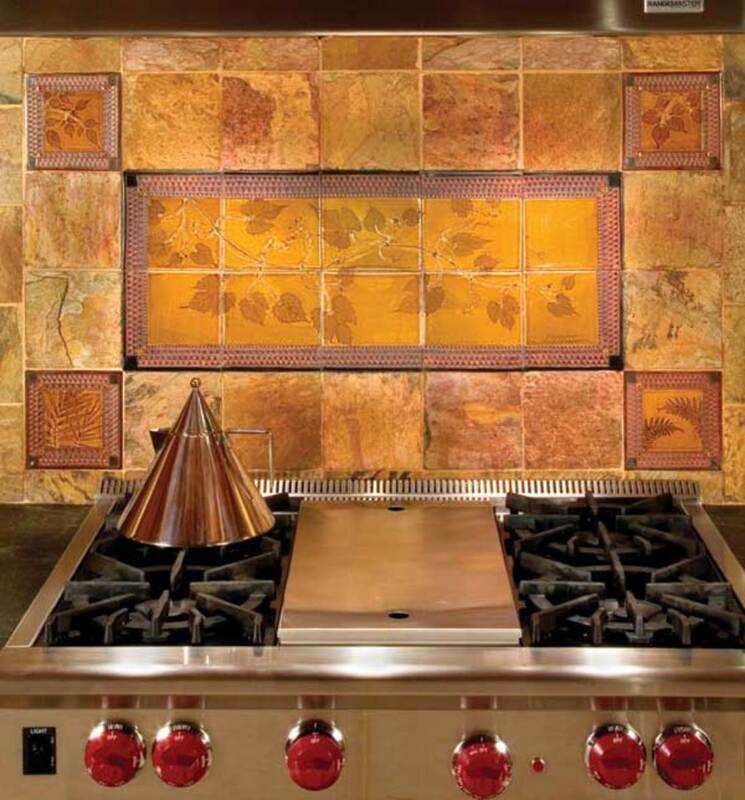 Solid cast-bronze tiles made from recycled copper and hand-finished in a luxurious palette of proprietary patinas. 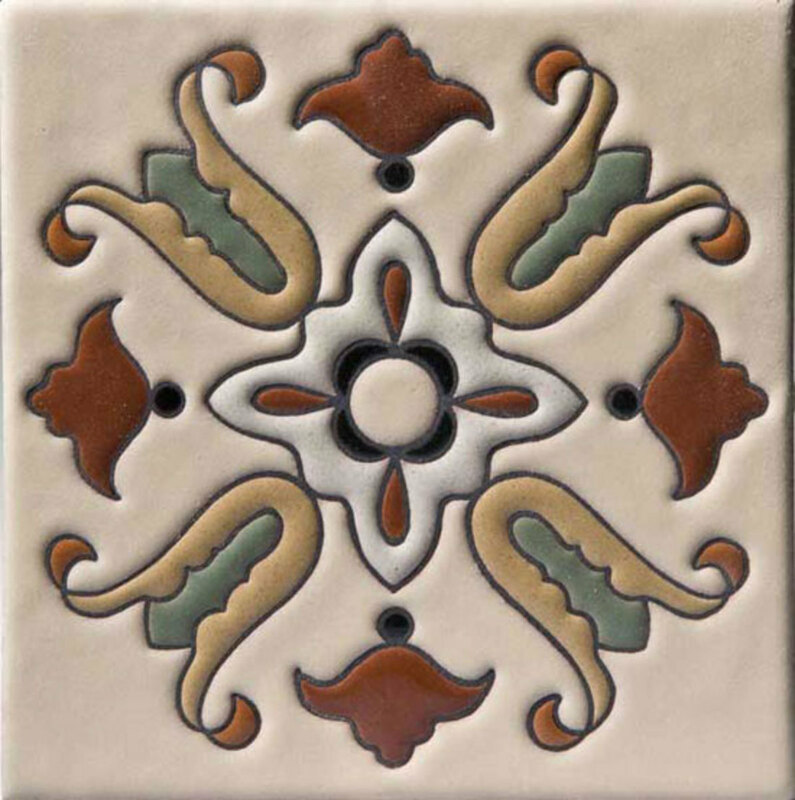 Reproduction art tile in Batchelder, Catalina, and Malibu styles. Revival line is reflective of ’20s, ’30s and ’40s ceramics. Also stone, terra cotta. Reproductions of the Arts & Crafts tile designs of Henry Chapman Mercer are still made and sold at the Moravian Pottery and Tile Works, now a museum offering tours. colorful Arts & Crafts-inspired designs, rich matte glazes, and elegant architectural moldings for fireplaces, backsplashes, and bathrooms. 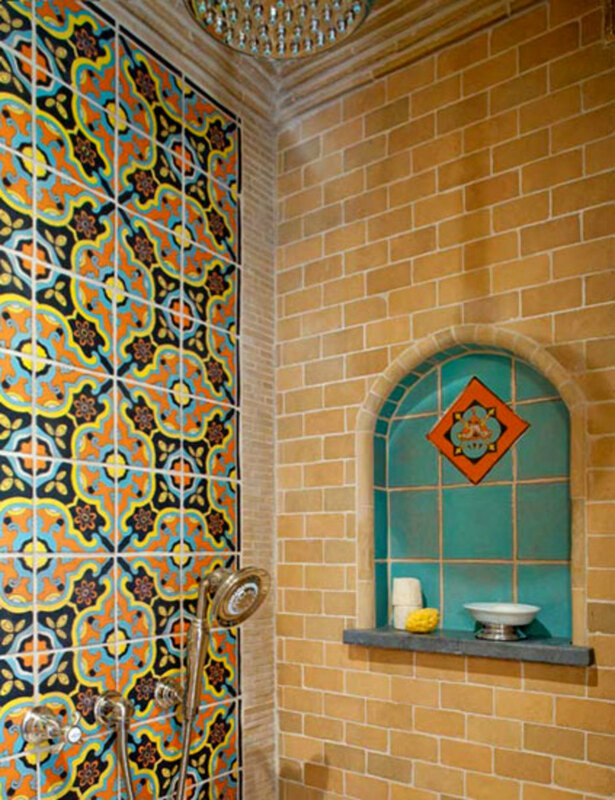 California, Spanish, and Craftsman-style handmade ceramic tile. Decorative trims, borders, pools, floor inserts, murals, fireplace surrounds, and rug patterns for floors. Creates custom tile in a myriad of colors, shapes, and sizes. 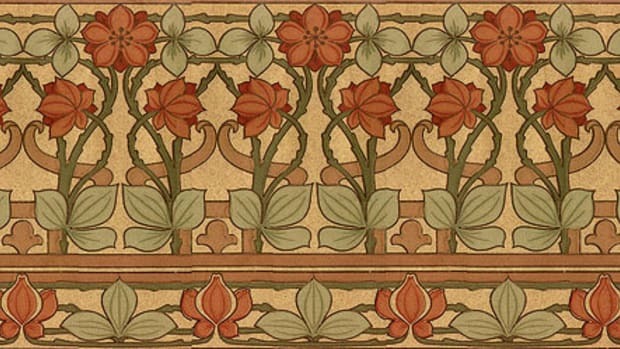 Original decorative tile, trims, mosaics, and handpainted tile. Restoration, reproductions, custom colors. 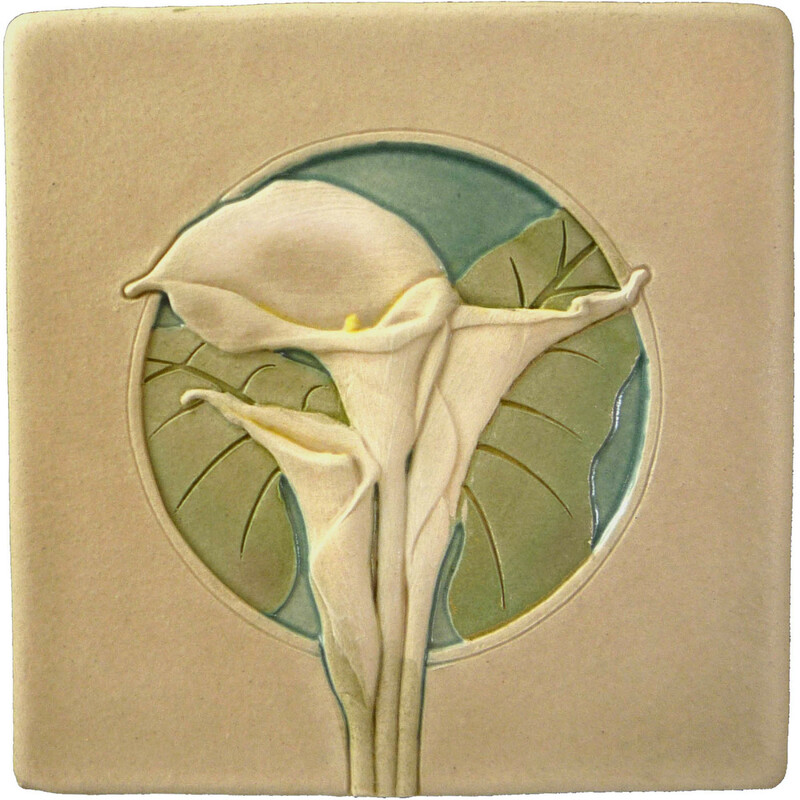 Art tile and art pottery in period glazes from an Arts & Crafts original founded in 1903, now a nonprofit. Versatile handcrafted tile in more than a dozen style lines and four distinctive glaze lines, as well as specialty glazes. 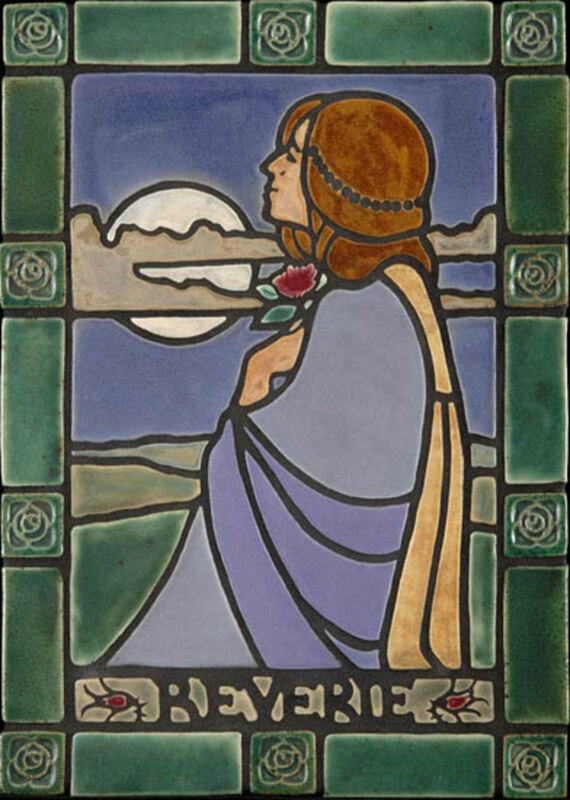 Custom tile design in Art Nouveau and Arts & Crafts motifs. House number tiles, too. Handmade terra cotta tile house numbers in classic architectural styles and ornamentation in many designs and colors. 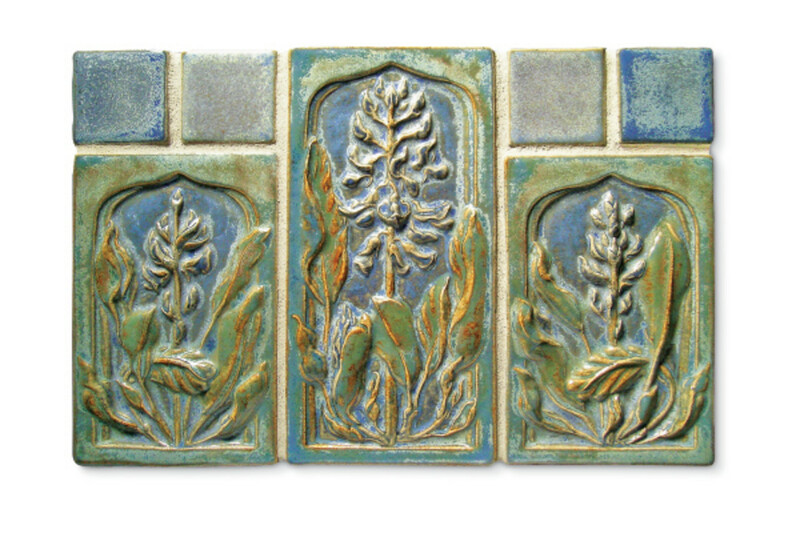 Artisan-made tiles in the tradition of the Malibu and Catalina potteries, using the cuerda seca technique. Distinctive ceramic tiles and terra cotta for floors and walls, interior and exterior. Available through distributors. 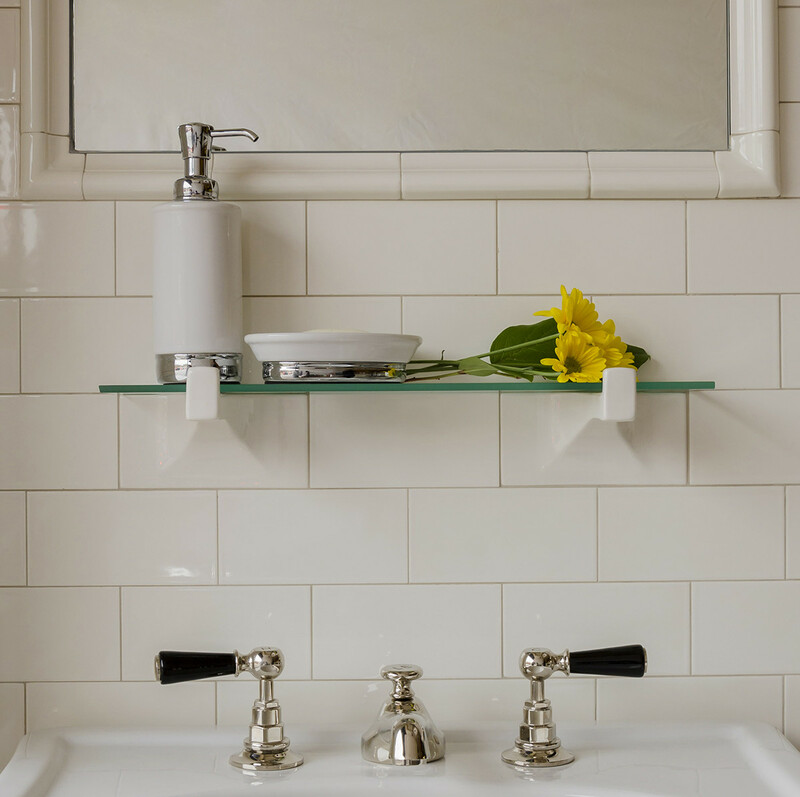 Genuine reproduction subway tile suitable for use in traditional homes. Decorative tiles and functional stoneware such as dinnerware, basins, vases, and teapots. Original designs true to the spirit of the Arts & Crafts tradition. Embellished in glazes of rich Craftsman colors and complex patinas. Field tile and architectural moldings, too. 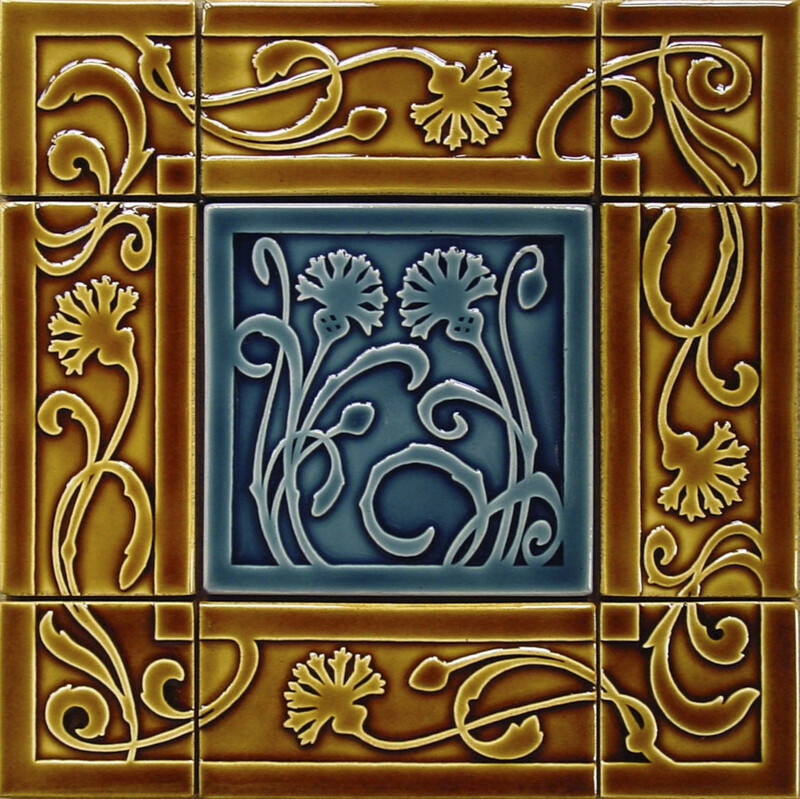 Small tile studio produces high-quality, high-fire decorative tiles in Arts & Crafts motifs. 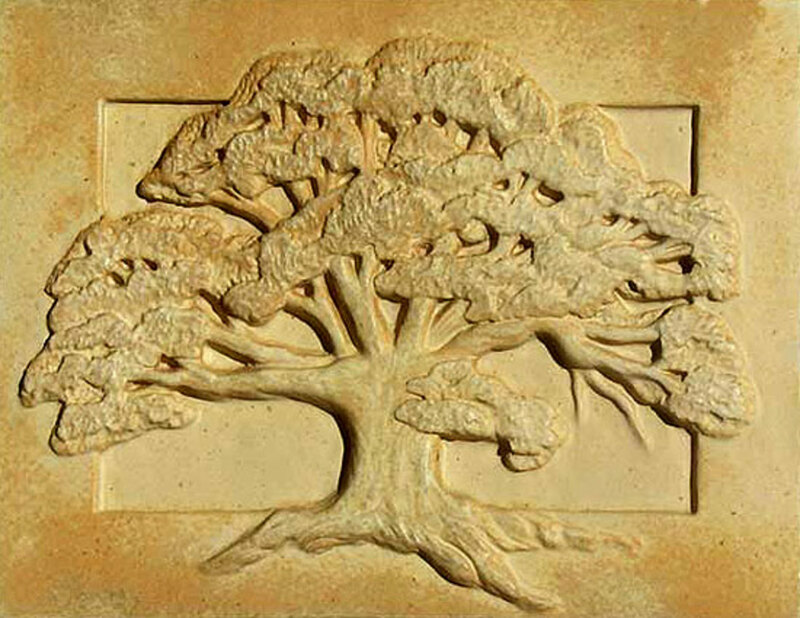 Relief art tile in custom designs. Glaze-matching. 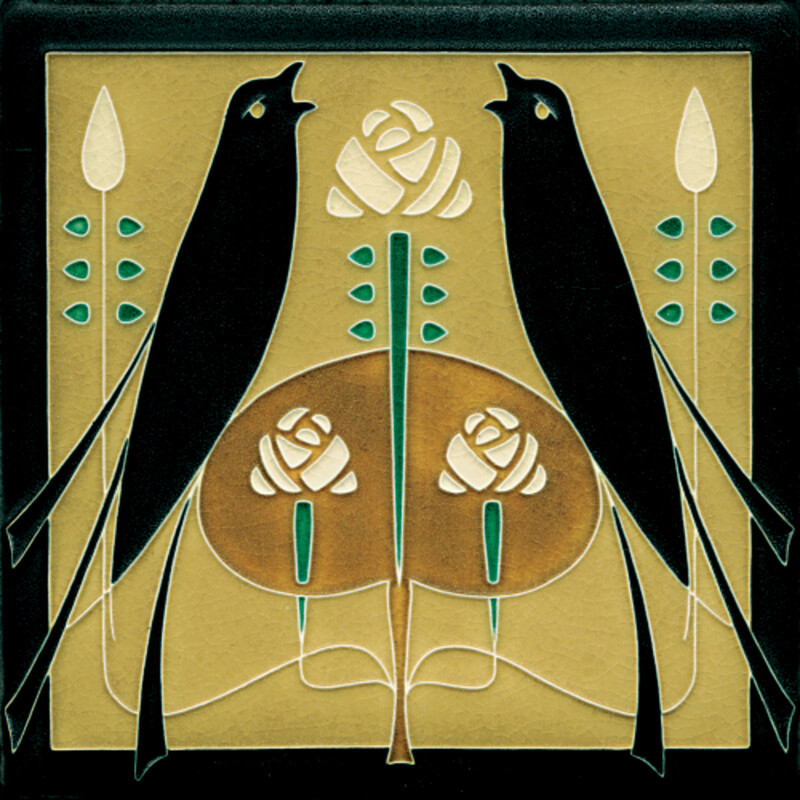 Arts & Crafts fireplace tile reproduction.